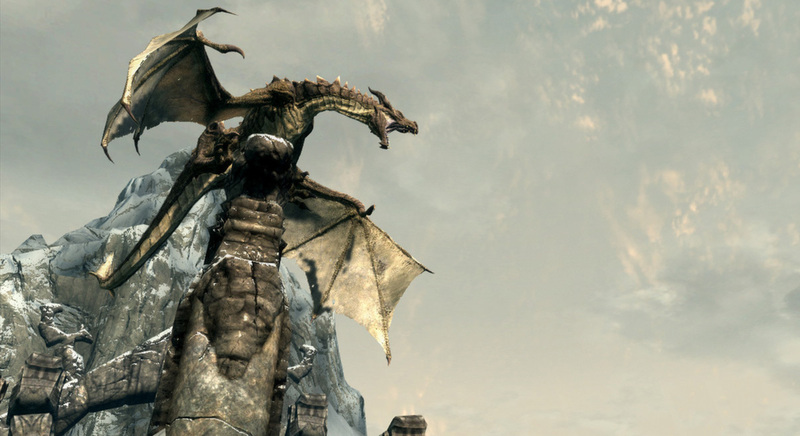 Though The Elder Scrolls V: Skyrim was one of the biggest game releases in recent memory, its downloadable content additions have left a lot to be desired by anyone who isn’t playing the game on the Xbox 360. As we’ve repeatedly reported, Skyrim creator Bethesda Softworks has been having a difficult time bringing the game’s DLC to the PC and PlayStation 3. The first PS3 DLC is slated to arrive on February 12, even though Xbox 360 owners have been enjoying the game’s add-ons since last June. Even the graphically superior PC that is awash with gamers creating their own Skyrim mods is also lagging behind the Xbox 360. The Dragonborn DLC, which made its Steam debut just yesterday, has been available on the Xbox Live Marketplace since the beginning of December. The system requirements found on the back of Skyrim’s box serve as the HD Texture Pack’s minimum requirements, though as with any PC release those attempting to play the game at or near minimum requirements will likely experience a lot of graphical issues, framerate drops, and overall poor performance. As for how the patch works, it’s quite simple: Included within the patch are textures at a higher resolution than those originally featured in Skyrim. By switching in these textures for their low-res counterparts, Bethesda is able to offer an especially pretty game to those with the computing power to run it, using a minimum of extra development resources. The end result is a free patch that makes an already attractive game even more impressive. Sadly, there is no chance of the HD Texture Pack being released on either the Xbox 360 or PlayStation 3. Neither system features enough onboard memory to properly utilize these expanded textures. Thus, consider this patch one of the prime reasons to purchase Skyrim’s PC iteration — well, this and the hundreds of awesome/weird/overtly sexual mods the Skyrim community continually churns out.